Dr. Naheed Dosani is a young doctor who makes house-calls on people who don’t have houses. A house-call for the homeless may sound like a contradiction in terms - but it's a living mission for an Ismaili Muslim doctor in Toronto. Dr. Naheed Dosani is a young physician who makes house-calls on people who don't have houses. Naheed is a doctor with PEACH: Palliative Education and Care for the Homeless, a mobile palliative care program in Toronto. He treats palliative patients, including those in shelters. Dr. Dosani sees his work as a calling that reaches beyond his Hippocratic oath. Treating patients who've been discarded by mainstream society leaves Dr. Dosani asking, "What's a life worth? What's the value of a life?" 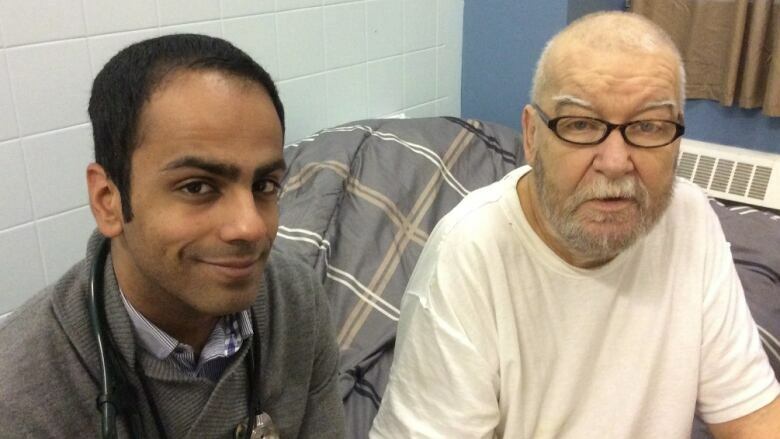 One of his patients is Archie, who lives at Seaton House, one of Toronto's largest homeless shelters. Archie and Naheed are two very different people who, over time, have built a strong connection. CBC producer Frank Faulk joined Dr. Naheed Dosani on one of his many visits to see Archie.